Supplier & Manufacturer of Vacuum Furnace and Oven & Ultra High Vacuum Furnace and Oven. Our product range also comprises of Annealing Furnace, Fluid Bed Furnace and Chamber Furnace. 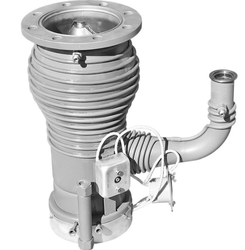 In order to cater to the diverse requirements of honorable clients, we are able to offer Ultra High Vacuum Furnace. 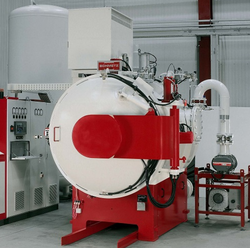 The offered range of ultra high vacuum furnaces is made utilizing high-grade raw material and highly advanced technology in strict compliance with the international quality standards. Along with this, the offered range of ultra high vacuum furnace is ideally utilized for effective heat treating of material. A common use of a vacuum furnace is for the heat treatment of steel alloys. Many general heat treating applications involve the hardening and tempering of a steel part to make it strong and tough through service. Hardening involves heating the steel to a pre-determined temperature, then cooling it rapidly.